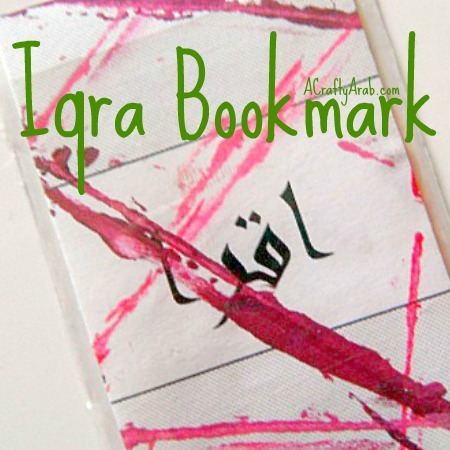 The first command Allah gave Prophet Muhammad (peace be upon him), was to read which is iqra (اقرأ) in Arabic. 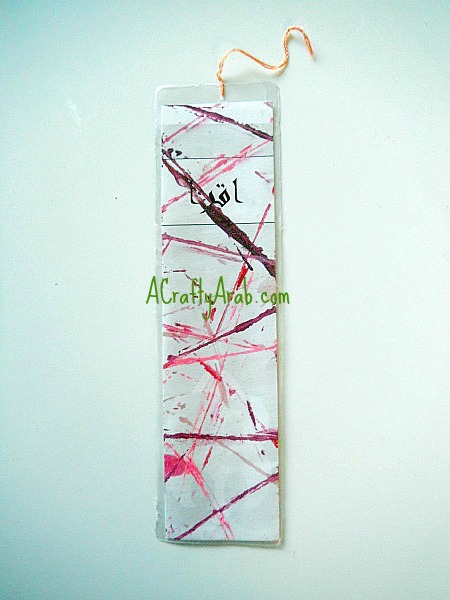 Today we wanted to honor that word by making a bookmark for the books in our lives. 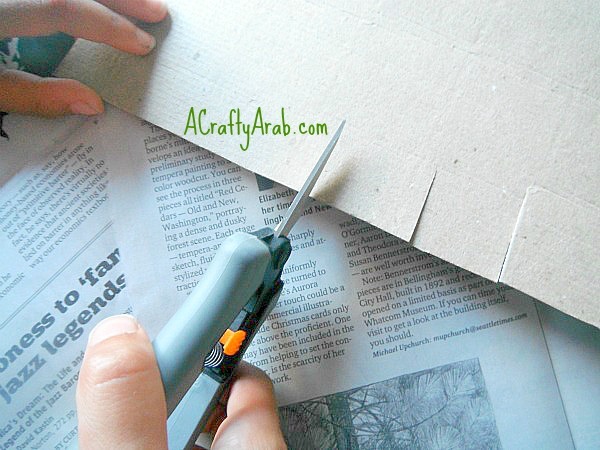 Lay down your newspapers to cover your workspace. 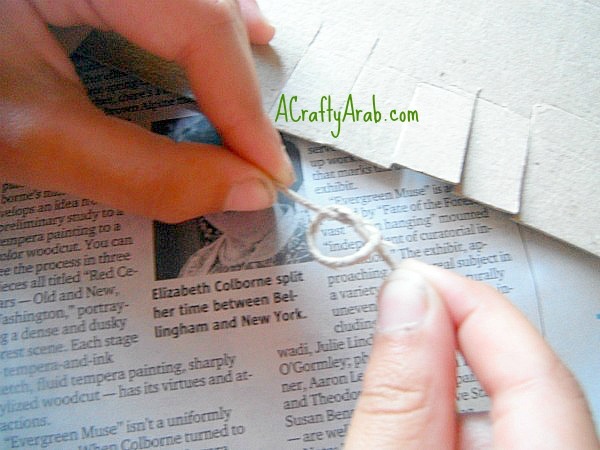 Cut some notches in your cardboard. Tie off your string and put the tied end underneath the notch. 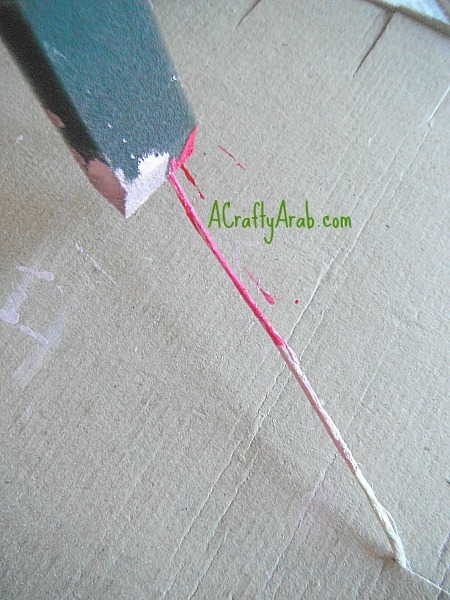 Pour some paint into the paint container and dip your brush to coat your string. 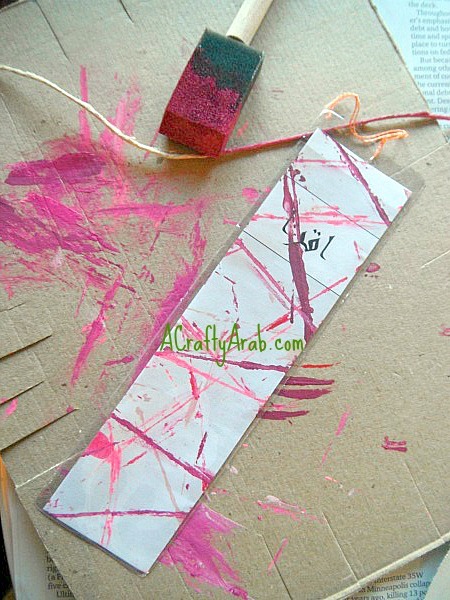 Place your string down on your bookmark. 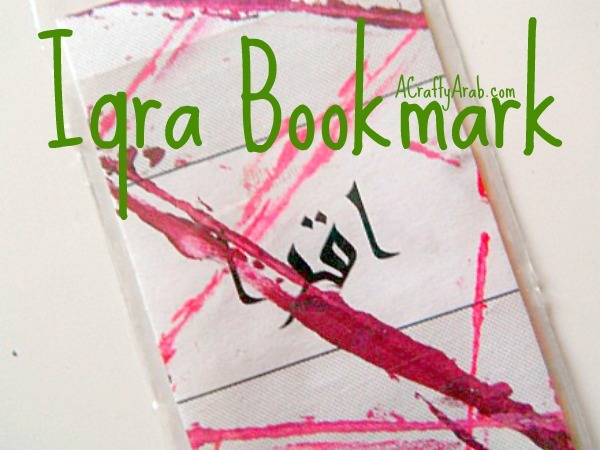 Use different colors and move your string around the different notches to try to keep your bookmark in the same location. You’ll have a mess on your hands! You can laminate your bookmark or we actually had an empty plastic cover that we put our completed bookmark into when we were done. 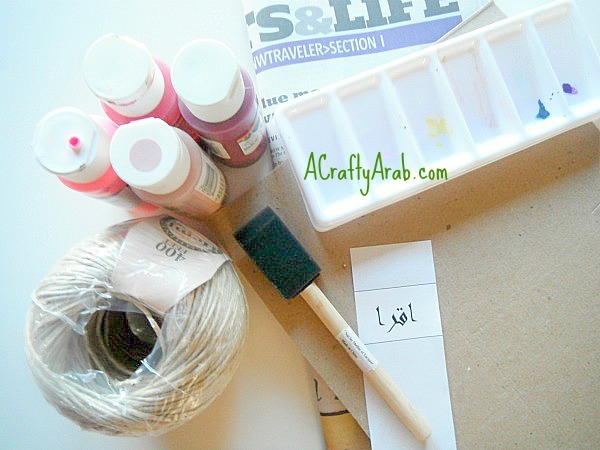 I need to apologize because it wasn’t until after I typed up the directions for this craft that I realized I had spelt iqra incorrectly on the Word doc! 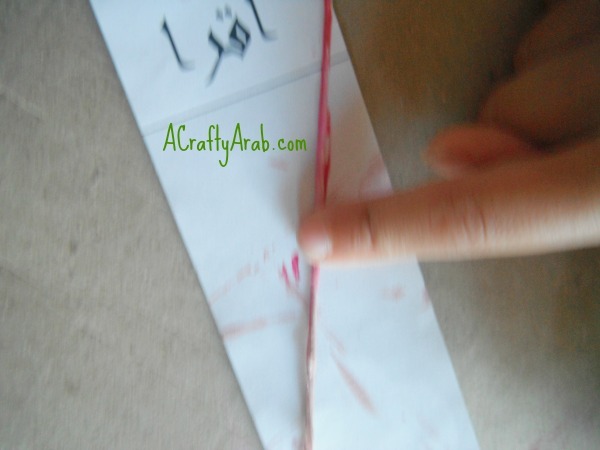 I should have a ta marbuta on the last alif to look like this: اقرأ. Ah well, guess we now have to get messy again.